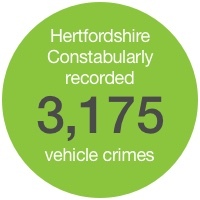 In the first half of 2016 Hertfordshire Constabulary recorded 3,175 vehicle crimes, most of which haven't yet been solved. The majority took place in Welwyn Garden City, Watford or Stevenage, but that doesn't mean people in other parts of the county shouldn't be careful as well - car crimes were reported in every district. Having your car stolen can be a massive blow, and can cause huge disruption in your life. If you think you need to protect your vehicle then use TrackerFit for car trackers Hertfordshire. 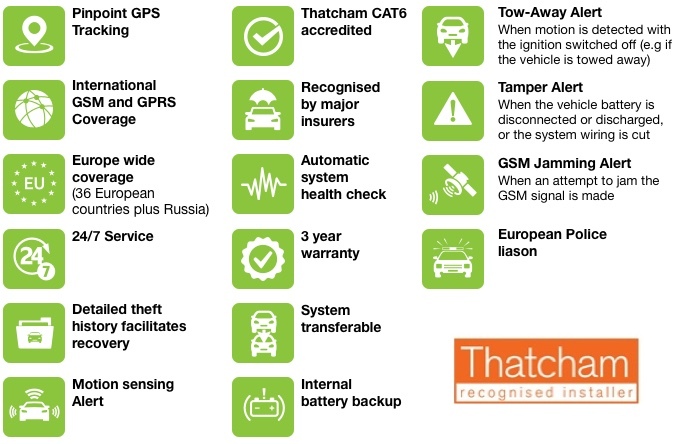 Specialising in car trackers Hertfordshire devices are available from a wide range of brands, including Smartrack, Cobratrack, TrafficMaster, Tracker, Box, ScorpionTrack and British Tracking Systems. These are recommended by manufacturers and insurers across the country - make sure you check out the full range. A specialist car tracker provides a cost-effective solution to keep your vehicle safe 24/7 in Hertfordshire - a discreet and sophisticated car tracker can be used to keep tabs on your vehicle if the worst was to happen. Dedicated control centres will liaise with the local police force to track it down and catch the perpetrators. TrackerFit offer a range of devices to suit any kind of vehicle, from cars and vans to caravans. Installing an affordable tracker isn't just a boost for your vehicle's security, it'll help save you money, too. Our trackers are approved by most UK car insurance companies, and will bring your premiums down by reducing risk. Our trackers can offer remote engine immobilisation, and work all across Europe as standard. Starting at just £199, we can have your device installed quickly and efficiently. Number one for car trackers Hertfordshire, TrackerFit provide a Thatcham approved installation service at a time and place that best suits you. If a tracker sounds like the device for you, just get in touch. Our tracking device experts are on hand to give you top quality advice on which unit will suit your vehicle, and can book an installation slot to suit your schedule. Call us today on 0800 756 5100.